Time passes fast, and soon you will find yourself in spring when you will remember your air conditioner. Soon, you will find yourself running the air conditioner in your house so that you can control heat in your house. However, you might find out that the old air conditioner is not functional such that you will need a new one this time around. You should understand that a bigger air conditioner is not always the best for you. Here are some critical factors that highlight why you should not purchase a bigger air conditioner thinking that you will get better results. A massive air conditioner will require a large budget to ensure that the unit is maintained over its lifetime. In case some components need replacement, you will find out that they cost much money that you had anticipated. For example, all the components used in large air conditioners such as heat exchangers, air filters, and motors are expensive and buying one for replacement purposes will come at a considerable cost. You should consider a medium-sized air conditioner as its replacement components are not very expensive and one can comfortably handle. It is common knowledge that large air conditioners are likely to wear and tear with ease. They have large moving parts that require much effort to make sure that they are moving. Every time you start or stop a large air conditioning unit, you increase its wear and tear. This will increase the number of maintenance and replacement of various components. 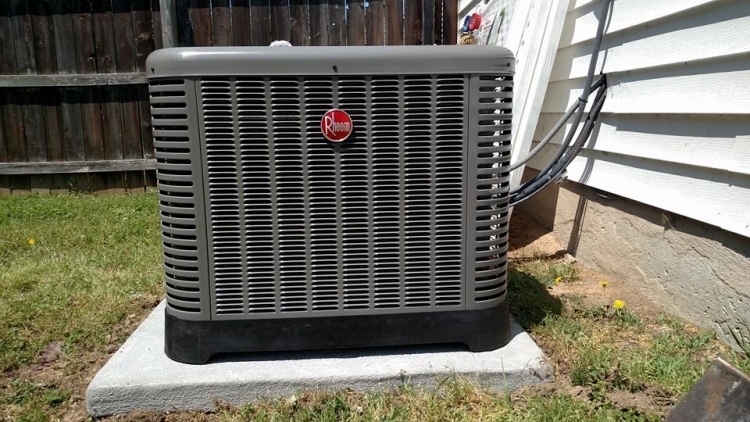 A medium sized air conditioner has smaller moving parts and does not require frequent starting and stopping which means that the chances of wear and tear are reduced. A massive air conditioner has low efficiency, which makes it use much energy and thus increasing your electricity bills. The system has to work harder so that it can make the environment to be comfortable as compared to a small air conditioner, which has higher efficiency, hence reducing your overall electricity expenditure. Because a large unit keeps on stopping, you will have to restart it so often which stresses the components are making it lose its effectiveness. This will force you to install a new one this spending much money some few months after buying a new one. Moreover, a large air conditioner costs higher and requires large amounts of money to install. The other important factor that makes oversized air conditioners not suitable for your house is that it can take much of your space in your room. This is not always good for you would like to utilize your room properly such that some items don’t take much space as compared to others. Moreover, it does not appear reasonable when an air conditioner takes a significant proportion of space in your room as compared to other essential items such as furniture among others. As you can see above, it is not the size of the air conditioner that determines its effectiveness. Moreover, an oversized air conditioner proves to show some disadvantages that you may not like. Therefore the notion that bigger is better should not influence your purchase behavior when you are deciding to purchase an air conditioner. You should increase the functionality of your AC and lower your total costs by a unit that works for you. Charlie Teschner started MESA Plumbing, Heating, and Cooling in 1982. Charlie has a journeyman and master plumber’s license. He was raised with a strong work ethic and he now applies those values to tasks such as Longmont, CO heating repair. How To Maintain Your Rugs and Carpets?